As leading providers of fish in Malta, our team at Azzopardi Fisheries pick some of the world’s weirdest fish that will have you question evolution. Don’t be fooled by these cute little things – they are in fact, ninjas. For one, their eyes move independently so as not to give their position away when stalking prey, while avoiding becoming prey themselves by mimicking the colour of underwater plants. In terms of traditional romance, few species come close to the seahorse. They are monogamous, mate for life, and prefer to swim in pairs with their tails linked together. 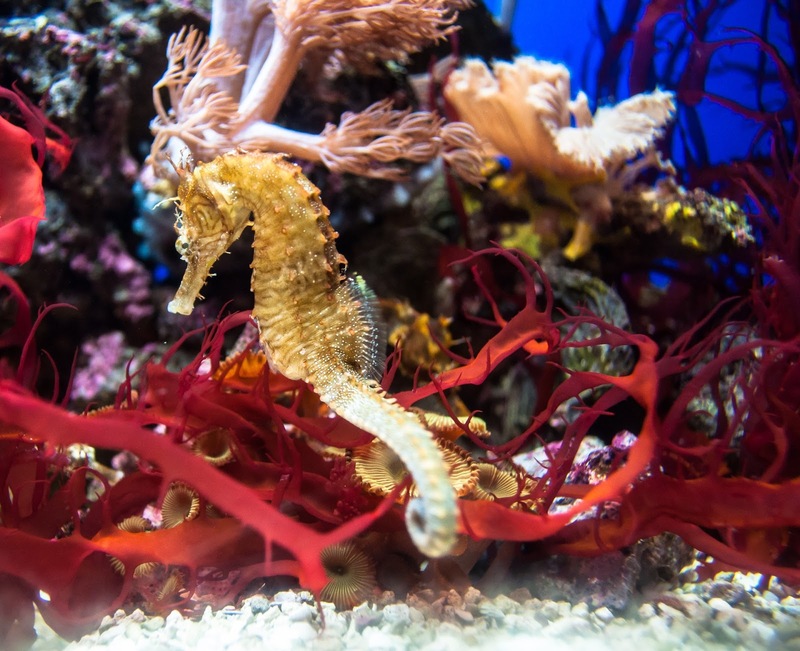 If that wasn’t fascinating enough for such a tiny fish, seahorses are among the only known animal species in which the male bears the unborn young in a ventral pouch until they hatch. However, the downside to being a seahorse is that due to their body shape and their upright position, they are rather inept swimmers. Speaking of survival, the little ninjas must eat almost constantly to stay alive (is that even a bad thing?) as food passes through their digestive systems quickly since they have no stomach. How’s transparent blood for strange? Haemoglobin, the protein that gives blood its red colour and carries oxygen to the muscles and organs that need it, also happens to be the protein lacking in this fish’s blood. The Icefish is somehow able to survive without haemoglobin and pumps blood five times faster than the average fish. Since this colourful fish spends most of its day nibbling at algae and dead coral (thus cleaning the reef), its waste is largely made up of tiny grains of hard coral. In other words, parrotfish poop lots of beautiful, fine white sand! But that’s not all! These fashionable fish change their gorgeous colours as they grow, and many also change from female to male. Versatility at its best. When it comes to hideous and terrifying looks paired with an immaculate hunting method, no other fish comes anywhere close to the Angler Fish. This one is downright freaky – the fish version of a nightmare. And with a fish that’s so strange looking, it’s hard to choose its most distinct feature, so we’ll leave it up to you to decide. Angler Fish have a large head, an enormous mouth (probably the most likely part to give you nightmares, and a whip-like rod that protrudes out of the top of their head, which they wave to entice their prey. The females are much bigger than the males, growing up to 1.2 metres long, as compared to the males, who only grow 16cm long. When a male finds a female, he bites into her side and fuses to her forever, taking nutrients from her blood. Talk about taking clingy to another level. The good news is that most of them live in the deep, dark ocean, which is why they glow light, due to photo plankton. So as long as you stay away, you’re not likely to spot one of the world’s ugliest fish any time soon – not while leisurely snorkelling, at least. Looking for the best fish Malta has to offer? We obviously don’t serve any of these fascinating and unique fish at Azzopardi Fisheries in St. Paul’s Bay! What we do offer is a range of yummy fish and the widest selection of seafood in Malta, paired with friendly service!